Chestermere Utilities Incorporated is Chestermere’s dedicated provider of curbside garbage, compost, and recycling collection, in addition to water, wastewater, and stormwater management. 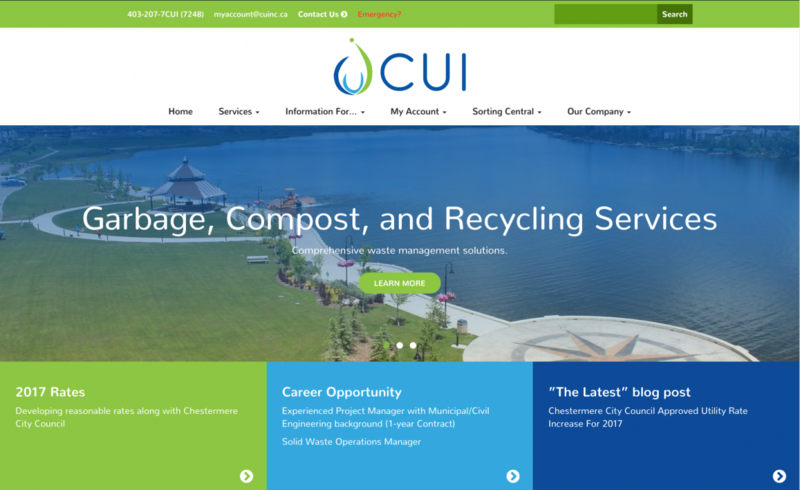 Project Summary: Chestermere Utilities Incorporated has a lot to offer their customers. 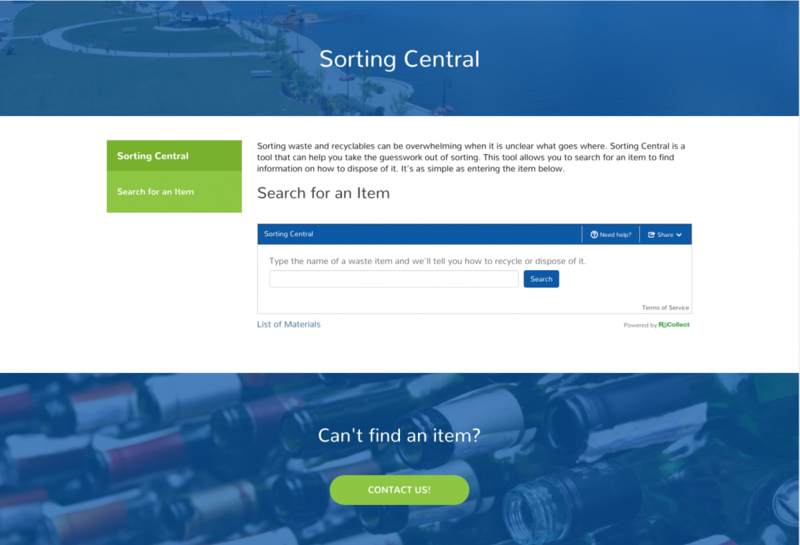 We overhauled their previous site with a brand new design, an intuitive backend and a reimagining of their content’s organization. 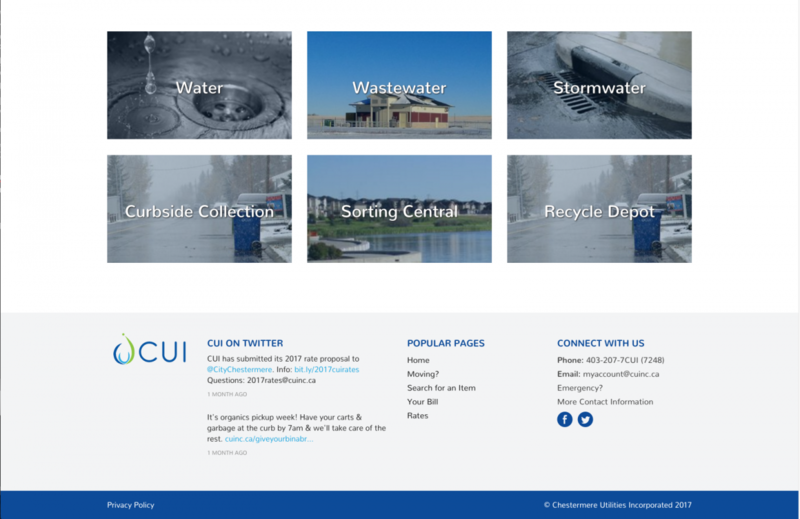 The site is clean but vibrant, putting the customer first and showcasing the most important aspects of CUI.